Painting is the easiest way to express your personal style in your home. But, there's more to choosing the right paint than simply picking the perfect color. 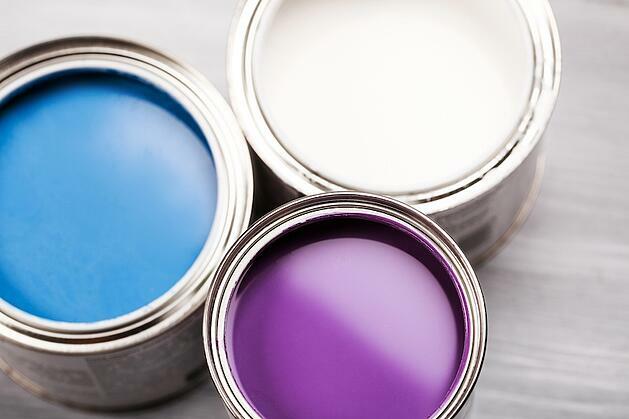 Understanding the type of paint you need for each surface in your home is essential. For instance, a lower-luster finish is suitable for walls and ceilings, but doors and trim may look better with a higher-sheen paint. 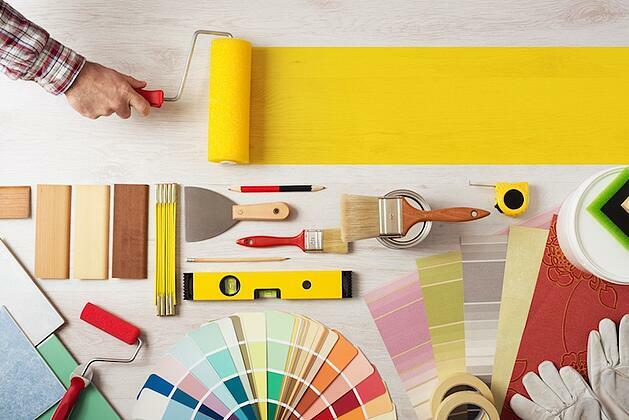 Before you embark on a time-consuming and expensive painting project, read on to learn all you need to know to pick the perfect paint for any room in your home. You have found a color that you love! But before you tackle that big paint job, test the colors you are considering. Get small samples of the colors you like and apply them in swatches in different places on your walls. Look at the colors at various times of day to see how the appearance changes. And, check out the paint in artificial light as well as natural light. Want to read about how room color can influence your mood? Click here to learn what you need to know. Once you've decided upon a color, it's time to prep the surface before applying any paint. Fix holes, sand rough spots and make sure the surface is even and smooth. Depending upon the type of paint you choose, the surface on which you are working and the color you are painting over, you may need a primer. Primer is used to protect the material where paint will be applied, helps to cover imperfections, allows the paint to adhere more easily and reveals fewer brush or roller strokes after the paint is applied. If you are using a latex paint, use a latex-based primer; if you are using an oil-based paint, use an oil-based primer. Water-based paint, often known as latex paint, is easy to use, dries quickly and has low levels of toxic emissions (VOCs), or none at all. It's simple to clean up brushes after using water-based paint, too. However, it is not as durable as oil-based paint, so it should not be used in areas subject to a lot of wear and tear. Be aware that water-based paint may not stick to a surface that has previously been coated with an oil-based paint. Oil-based paints offer a higher-level of sheen and a more durable finish. They require clean-up with turpentine or paint thinner, and often have higher VOCs than water-based paints. Oil-based paints are ideal for trim, doors and cabinetry. Flat paint has a matte finish and absorbs, rather than reflects, light. It hides imperfections and will provide the most coverage because it contains the most pigment. Flat paint is not very durable or easy to clean, so it is typically used on ceilings and on walls in lower-traffic areas of the home like bedrooms. Eggshell paint has a slight luster but no shine. It is more durable than flat paint, but does show wall imperfections to a moderate degree. It's also a great choice for rooms with higher humidity, like kitchens, bathrooms or laundry rooms. Scuffs and other marks are easier to clean from eggshell paint than flat paint. Satin paint has a velvety sheen. It is perfect for high-traffic areas of the home such as family room, foyers or hallways, because it is easy to clean and durable. However, satin paint does show imperfections and brush strokes if not applied to a properly primed and prepared wall. Semi-gloss paint is very durable and cleans well. It is perfect for crown molding and baseboards, door trim, window trim, or other trim that is easily bumped and scuffed. High-gloss paint is the most durable and easiest to clean of all paint types. It is shiny and light-reflecting, and shows every imperfection, so make sure proper prep and priming is done to the surface where it will be applied. High-gloss paint is used on cabinets, doors and trim, but not on walls. How Does Room Color Affect Your Mood?